Dorm room posters are the easiest and coolest way to decorate your college room. Dorm Co offers an extensive selection of funny and unique posters that will customize and decorate your dorm room. 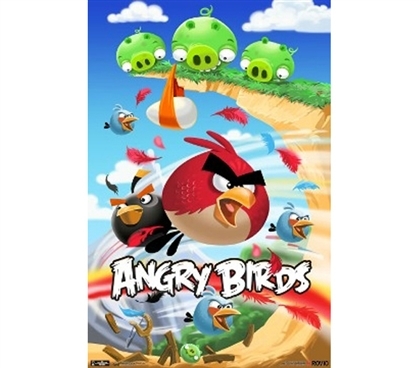 This Angry Birds dorm poster can add color to a drab room, or complete an already decked out dorm room. You can’t go wrong stocking up on wall décor for you dorm room. Of all the affordable décor Dorm Co.com offers, college posters are one of our best selling and most essential types of dorm decoration. Don’t stress about decorating your dorm room when this action packed Angry Birds poster can be shipped to you in 24 hours or less! Dorm posters make perfect college gifts for all students who could use some fun, new dorm room décor.